Home NYX NYX Cosmetics Grand Prize Winner! 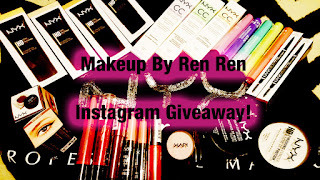 Thank you for participating in my NYX Cosmetics Giveaway! I appreciate you visiting my Instagram to enter the contest. Don't forget to make sure to follow all the rules - many of you liked and commented on the giveaway post but forget to repost the pic, oops! Because of that there were only 7 eligible entries. Congrats! You have till Sunday August 2nd at Midnight to claim your prize or it goes to someone else! For everyone else, I have tons of giveaways coming soon, stay tuned! Congrats ! This is such an amazing prize.